Multi-channel digital solutions to help your brand increase consumer awareness and drive conversions. As a digital advertising agency, NMPi pride themselves on delivering quality service across all of their digital solutions. As leaders in digital advertising, we exceed expectations when it comes to running smart, efficient marketing campaigns. 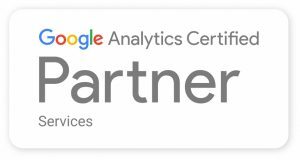 Our expert team of certified analysts apply a meticulous and granular approach to everything they do, lowering spend, increasing conversions and achieving the best ROI. Providing a custom approach for each individual client, our Analytics service focuses on generating actionable insights that drive smarter marketing decisions. Paid Search is intelligent advertising; an efficient, measurable and profitable method to get the best ROI for your brand. Successful programmatic display advertising can drive performance by reaching the right customer, with the right message, at the right time. For advertisers who want to move their brand forward, drive sales, and get the best ROI, social media remains one of the best means of moving forward. We believe that the perfect blend of technology, data and artistry makes every execution smarter, more dynamic, and more effective. This approach is at the core of everything we do. NMPi’s heritage is in performance marketing, and for over a decade we have been delivering successful campaigns for our clients.